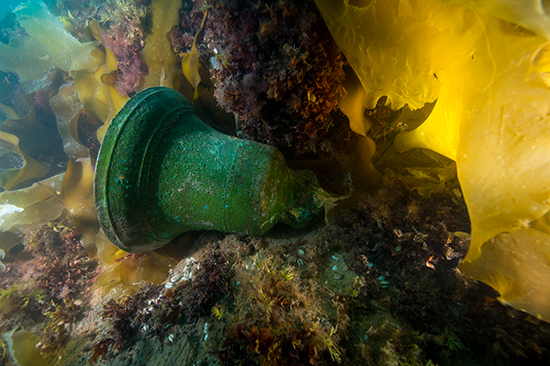 Canada’s government released images today of the bell from HMS Erebus, the doomed ship from Britain’s legendary Franklin Expedition, found in Nunavut territory in September. Erebus was named after the Greek god of darkness, whose sire is Chaos. (You might have thought the name would give them pause.) Erebus and her sister ship HMS Terror acquired their own mythological status when they vanished in the Arctic in 1845, on an expedition led by captain Sir John Franklin. Franklin, one in a long line of British and modern explorers, had been tasked with finding a shortcut from Europe to Asia through the elusive Northwest Passage. 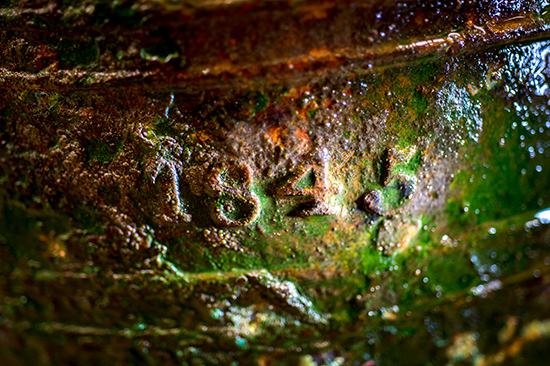 A long list of search parties and scientific expeditions on the quest to find the ships stretches back to 1848. Many found fragments of the puzzle, while most encountered the local Inuit residents — who not only had relics from the expedition, but tales of the crew and advice that the Erebus was in the area where it was, eventually, found. But it was only this year, in September, and with the aid of modern technologies, that the Erebus was located. 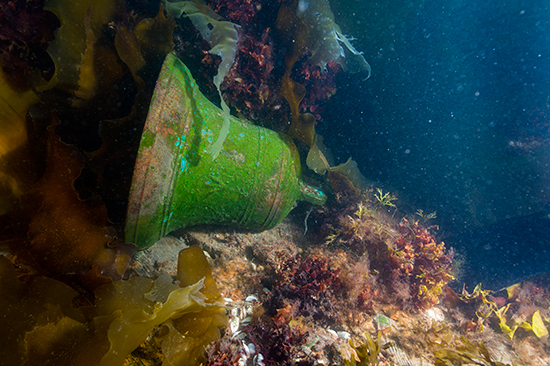 The ship’s bell from HMS Erebus was located during the very first dive on the site. When found, it lay on the upper deck, detached from its original mount. It was resting next to the ship’s displaced windlass (a form of horizontal anchor winch), above which it was originally mounted …. Currently it is immersed in a bath of distilled water which is monitored daily to detect change in the chemistry of the bath water. This technique is used to detect conditions that could lead to deterioration of the artifact. 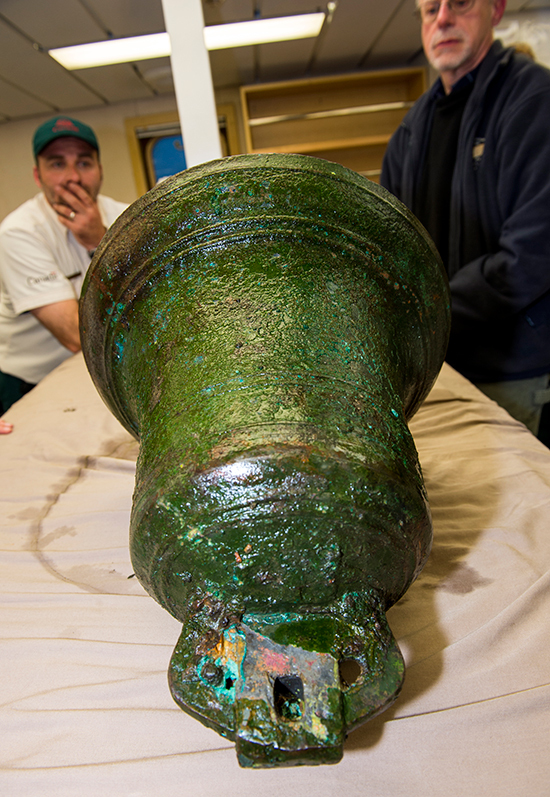 The artifact is now ready to begin a lengthy conservation treatment that could take 18 months or longer. The end result of treatment will be a fully preserved artifact that will be the subject of further research and exhibition. Parks Canada’s web site has extensive information and photo galleries. Folksinger Stan Rogers’ Northwest Passage is the iconic tune of the Franklin Expedition.